Contini Edinburgh // About // Blog // We are recruiting and we want you! We are recruiting and we want you! We are recruiting and we want you! As we approach the summer months and the sun begins to shine we are ramping up our recruitment for a variety of positions. If you’re looking for a great opportunity to join an award-winning team working within buzzing city centre restaurants then read on! We are looking for exceptional people who share our passion for food, service and quality. We are currently seeking experienced full time & part time permanent sous chefs, floor staff, hosts, baristas and kitchen porters to join our family owned business as soon as possible. In addition to our permanent positions we are also looking to recruit seasonal employees to cover the summer months of June, July and August. Contini George Street, Cannonball Restaurant & Bar and The Scottish Cafe & Restaurant are recruiting! Victor and Carina Contini’s family have been looking after customers in Scotland for over 100 years. They are third generation Italian-Scots dedicated to sourcing and serving the very best food, with true passion for hospitality. This successful family-run business comprises three award-winning restaurants, all based in Edinburgh city centre. Our aim is to provide a quality experience to all our customers, we invest heavily in training our employees to ensure this happens and encourage personal professional development. 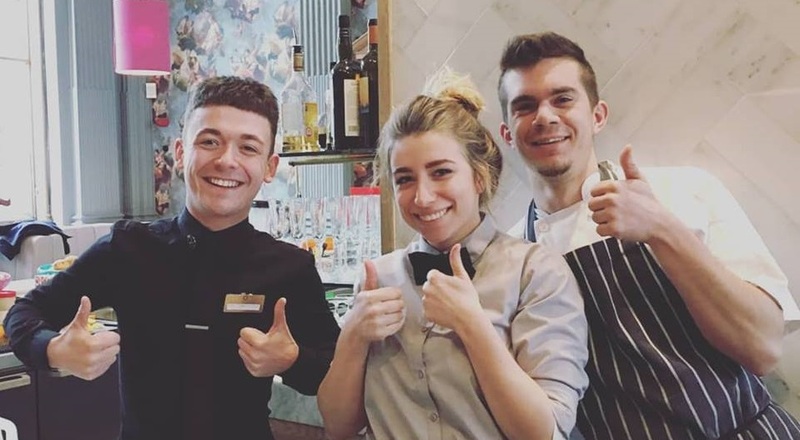 We are hosting a recruitment day and are asking experienced front of house and back of house candidates to come in for an informal interview and possible shift trial. If successful we would look to get you started as soon as possible. If you are interested in attending this event please email team@contini.com to confirm your attendance, attaching your CV and a rough idea of the time & date you will attend. Please ensure you bring your passport or your biometric immigration document with you, you must prove you have the right to live and work in the UK and have a good understanding of written and spoken English.